Have you heard about Sample Room? 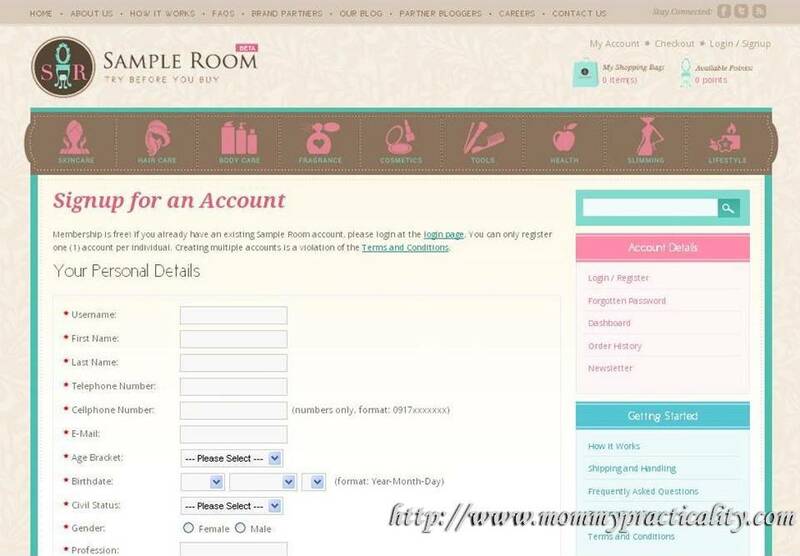 "Sample Room is a sampling site that banks on the power of free product sampling. It is an online community that changes your beauty-shopping pattern; and an interactive community where your opinions matter and where all beauty lovers are valued." 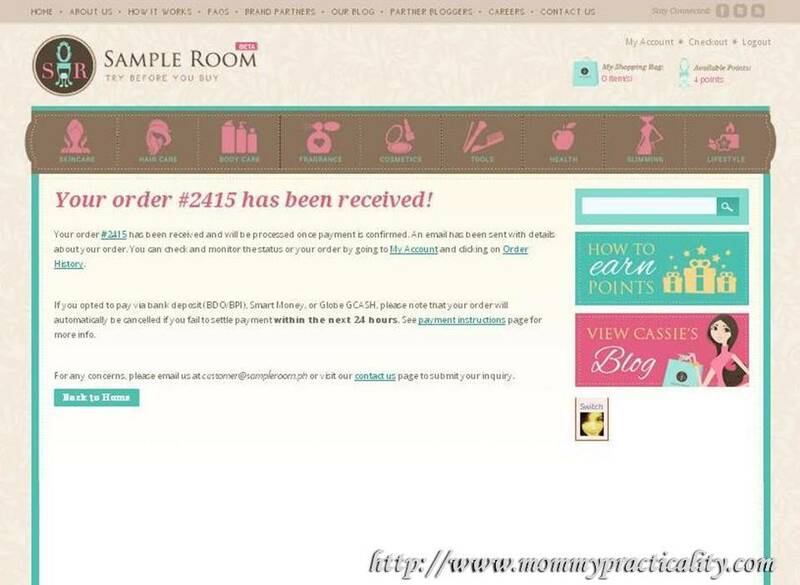 Sample Room created a big buzz before its website launch through social media. It caught my attention because their concept and mechanisms are ingenious. Coming from a marketing perspective, it's logical to deliver the samples straight to the target market than distribute it during activations or events blind-folded. Immediately I followed Sample Room on Twitter to satisfy my curiosity and to keep myself updated on what's it all about. When Sample Room's website went live last month. A lot of their Twitter followers tweeted about getting FREE samples even exclaiming how happy they were about it. This made me sign up to see it for myself. True to its promise, I got some samples myself for free to try and review it. Below, I'll enumerate simple steps how you could get samples too. 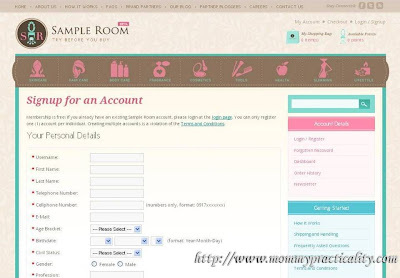 Step 1: Register An Account at Sampleroom.ph. You may only start getting free samples if you register an account. Step 2: Instantly get 100 points upon registration. 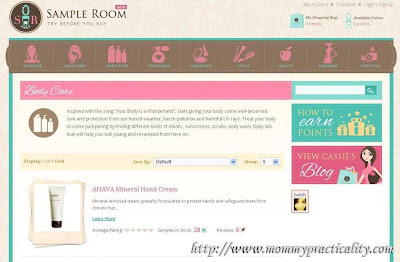 You may use these points to avail of the free samples! Step 3: Choose Your Samples. You may choose from their line of Skincare, Hair care, Body care, Fragrance, Cosmetics and to follow are Tools, Health, and Slimming products. Step 4: Check Out. Once you choose your samples, go to your shopping cart to fill in your billing details, choose payment methods for shipping and handling fee. Remember, you don't pay for the product samples, you only pay for the shipping and handling fees. Step 5: Receive Your Samples. My first batch of samples came after a day they confirmed receipt of my payment. I was excited to try my samples! Step 6: Post A Review at Sampleroom.ph. When I logged in to my Sample Room account to see new stocks of products for sampling, I was prompted about my pending reviews. 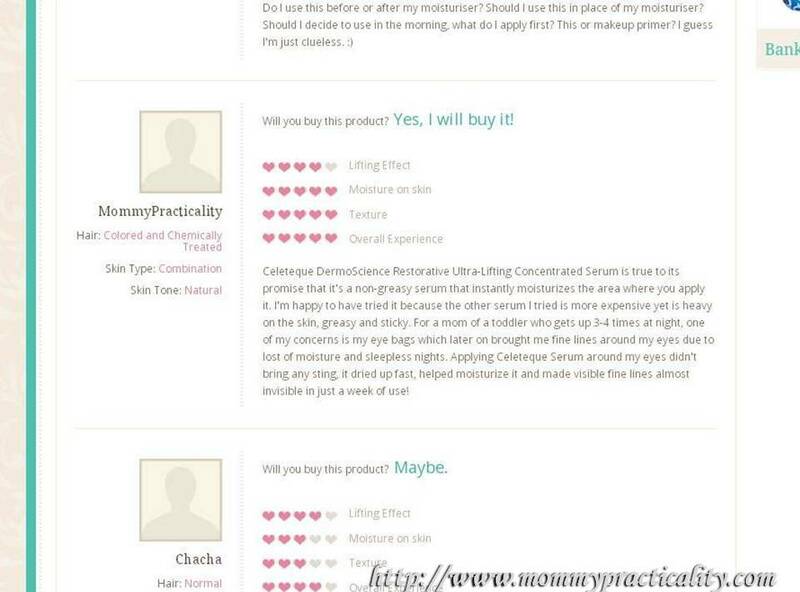 I gave my honest review based on my personal experience of the products. Sample Room has a set of guidelines to follow on how to submit a good review. Step 7: Get More Points From The Review and Get New Samples. For rating the products, you get 1 point each product. If Sample Room likes your review and posts it, you get all your points back (the points you used for getting the samples for review.) 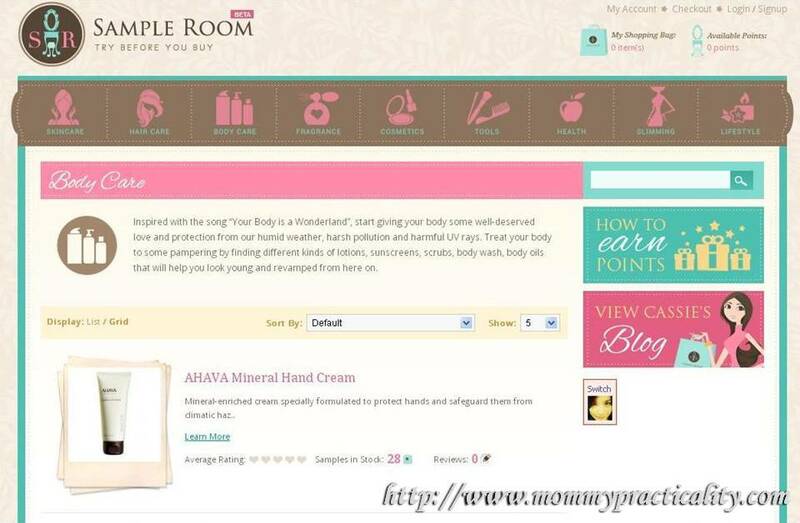 Then you're ready to get new samples again using these points! It's that easy! As I write this, I just ordered my second product sample using the points I gained for reviewing the previous samples I got from Sample Room. I chose Kerastase Chroma Captive Masque for the hair. I have a very long hair which I manage to maintain healthy through regular shampooing and daily conditioning. I'm excited to try this new sample and see what more wonders it could do to my crowning glory. If you do want to try getting FREE product samples head on over to Sampleroom.ph or"like" them on Facebook for more information. That's a great way of getting products for a very practical cost, just shipping! That's true sis! Try it out for yourself! I already registered here but there are only few items available. Maybe I'll check it regularly to look for the available products and get some. I am at sampleroom website as I type this. I will let my wife pick the products she wants hehe. Thanks for sharing information about them. Me too! I got a confirmation on my shipment payment just awhile ago. I'm excited to receive my new sample! :) By the way, I need more details on the yaya. Email me? :) Thank you! i also signed up to that website pero nakakalimutan ko lagi na kumuha ng samples. heheheh memory gap. I already signed up. Still thinking of what to get parang few products palang may stock e.
Unahan ang peg. :) hehehe! They will send you an email newsletter that announces restock or new samples available. sana meron ding mga baby products noh? This is same concept with BDJ Box kaso may fee ang BDJ box and you have no way to choose the product your want :) I'll try to register soon.